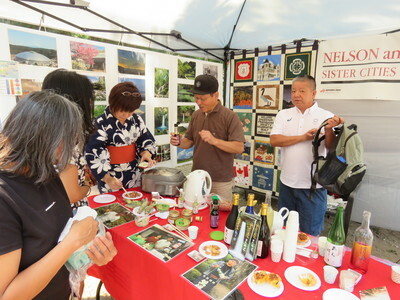 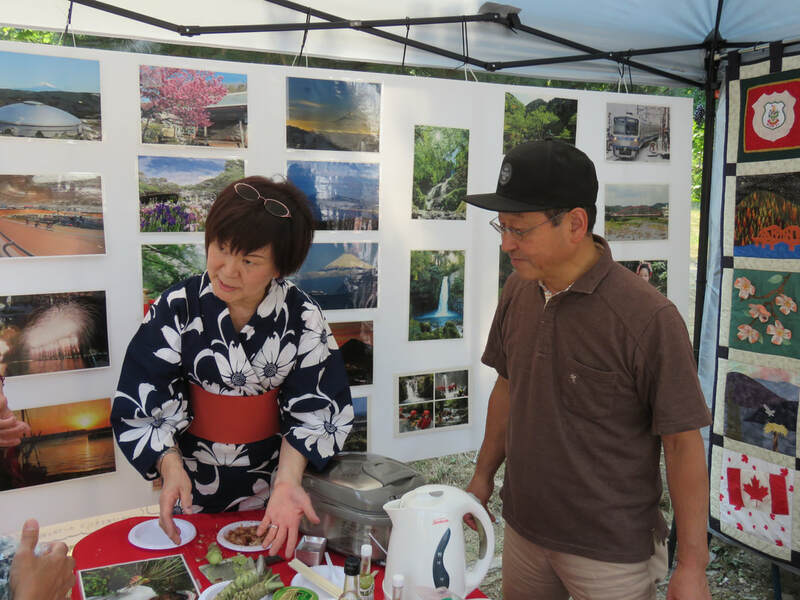 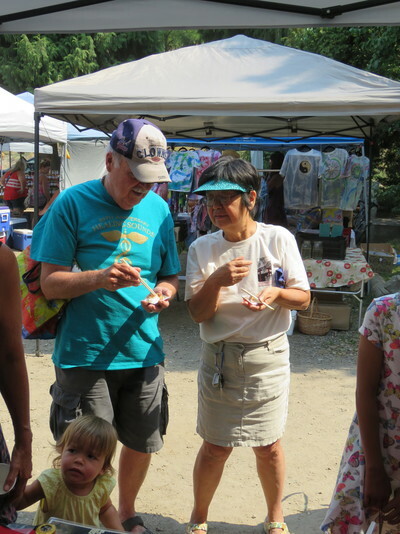 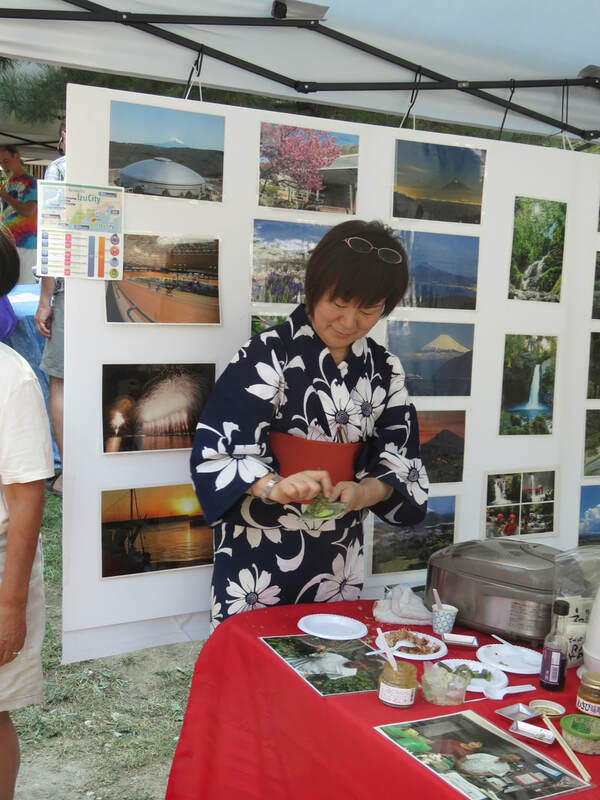 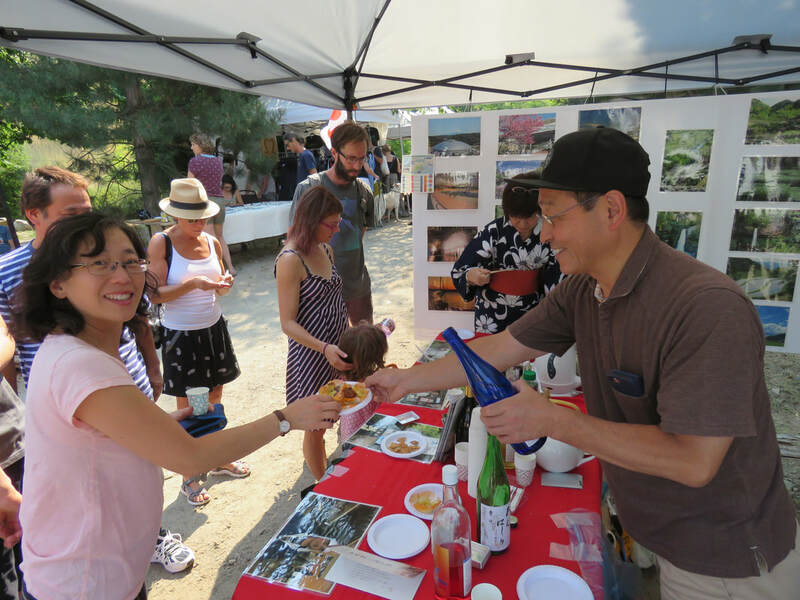 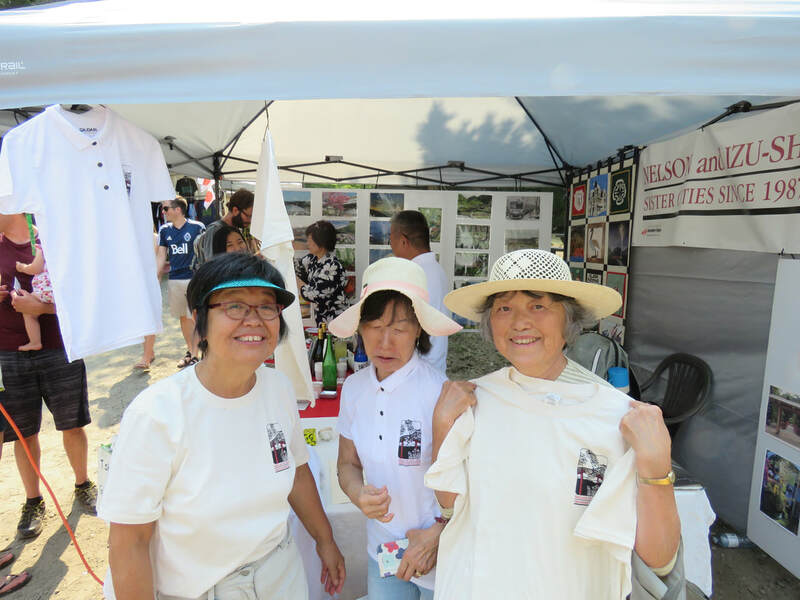 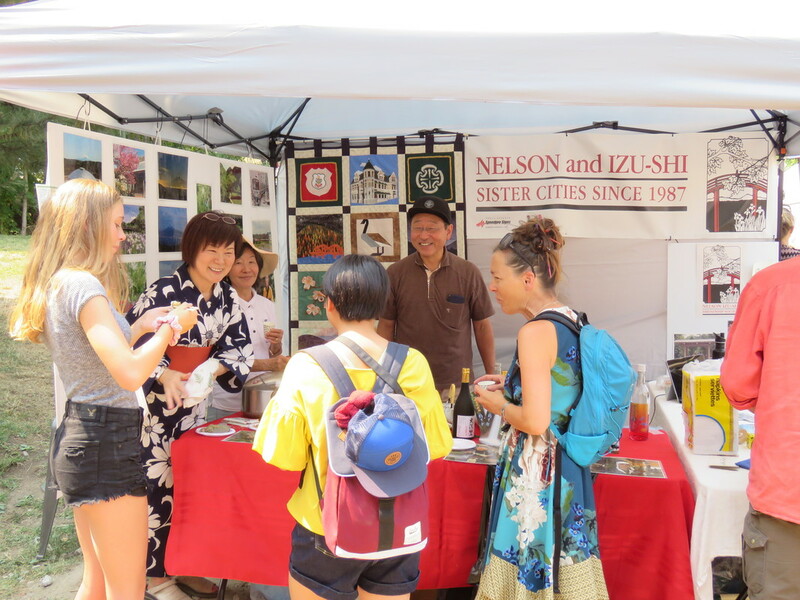 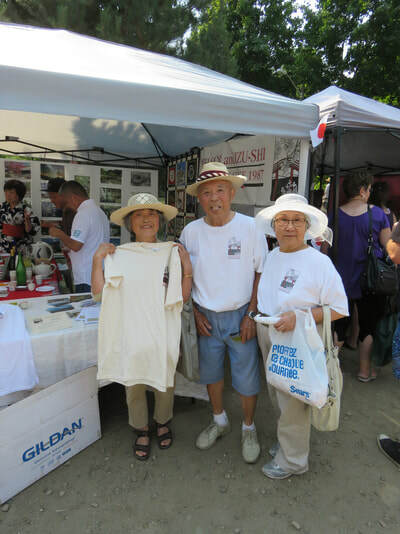 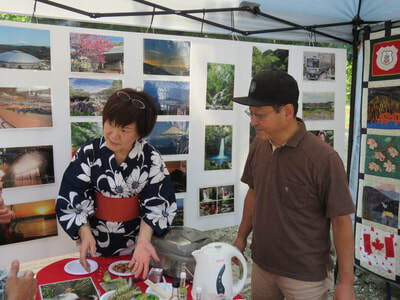 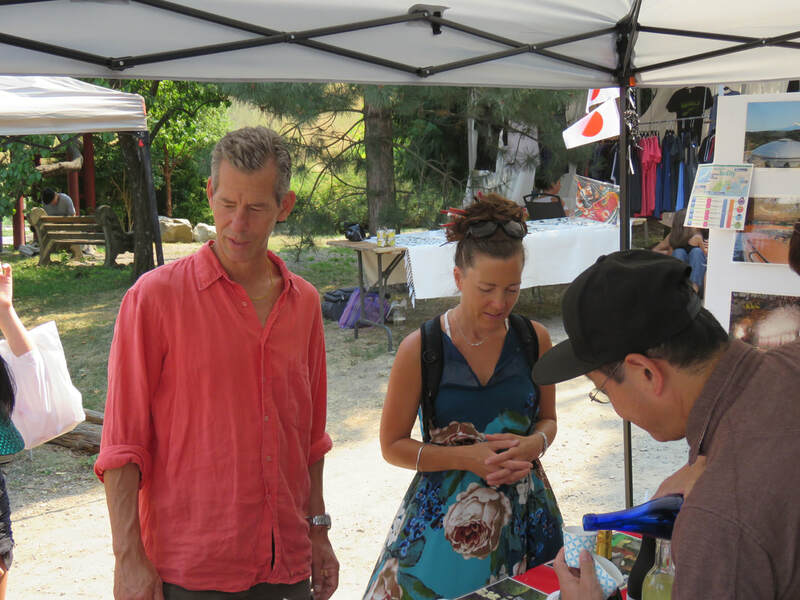 ​Members of the delegation from Izu-shi to Nelson were invited to set up a booth at the Cottonwood Saturday Market, and they did so in spectacular fashion. 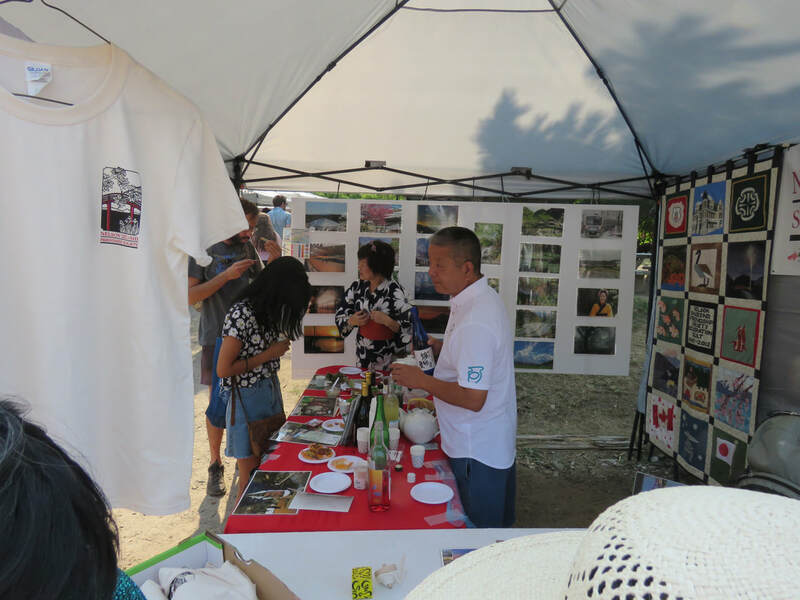 Atsumi Kurosu, Hiroyoshi Suzuki (brown shirt) and Yoshinori Uematsu (white shirt) displayed photos and maps of the Izu region, and gave out samples of Izu-shi local produce and drinks. 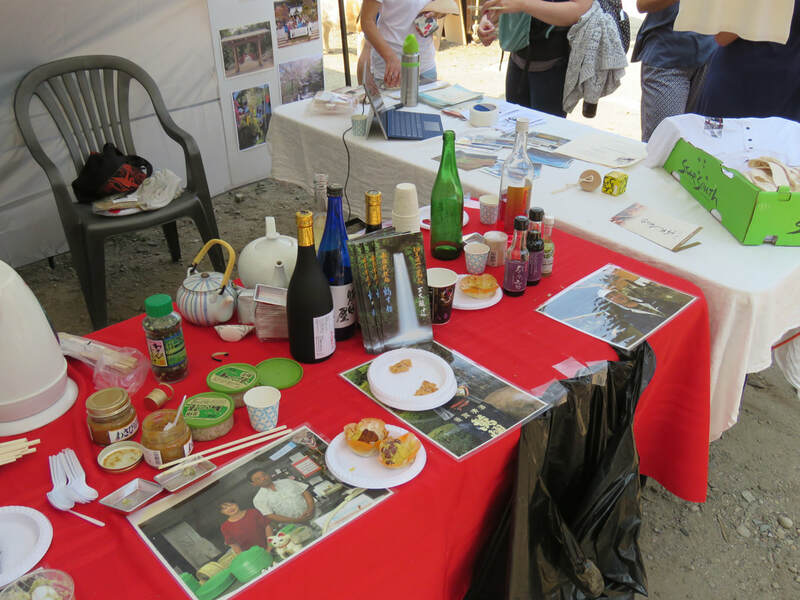 Visitors to the market were treated to steamed rice, adorned with fresh ground wasabi (hot Japanese ‘horseradish’) and bonito flakes, complemented with fine Izu sake or fruit drinks. ​Not surprisingly the booth was very popular! ​Members of the Friendship Society in their new ‘uniforms’ helped out at the booth. 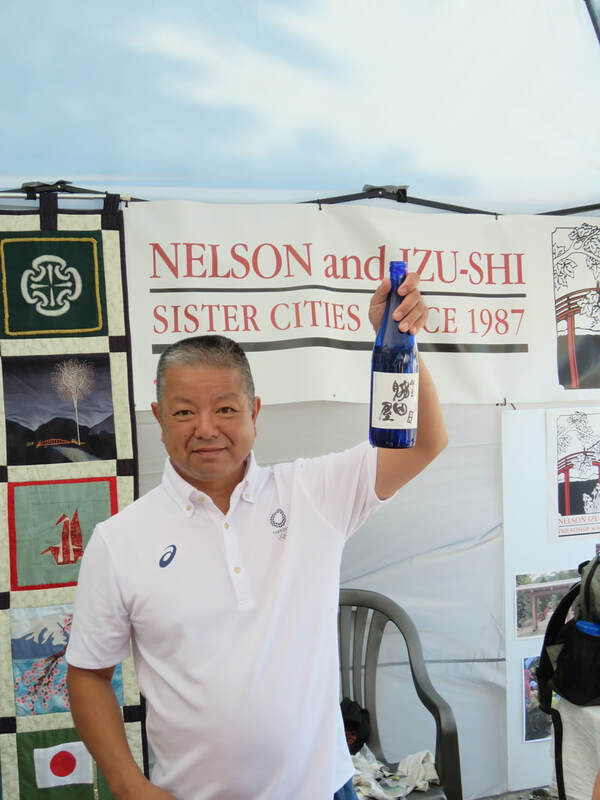 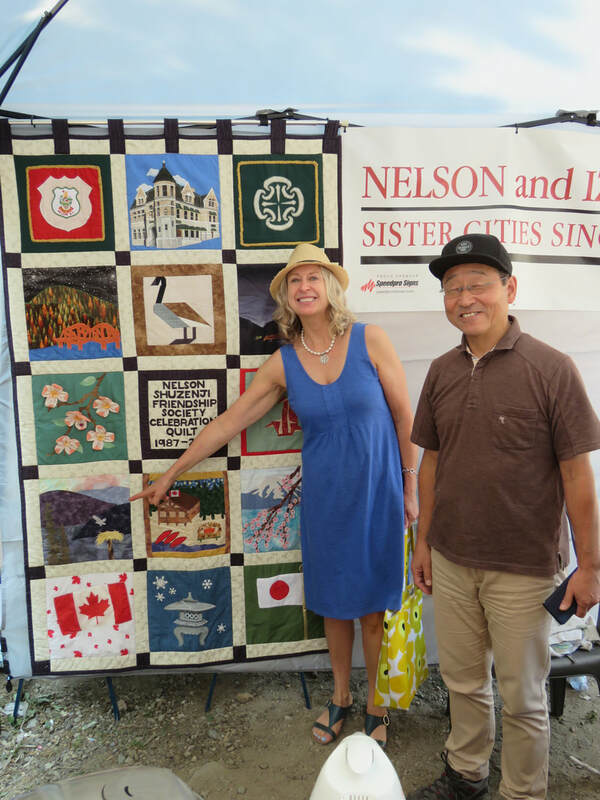 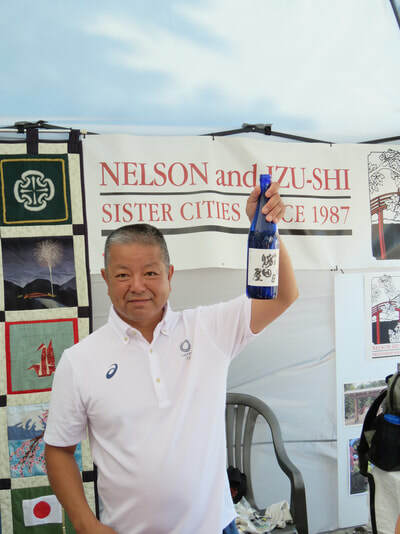 ​The beautiful celebratory quilt comprised of 15 panels, to celebrate the 15th anniversary of the sister city relationship, was brought from Izu-shi and displayed at the Izu booth. One of the quilters, Jennifer Zibin, visited the booth and pointed out her panel to Hiroyoshi (above right). 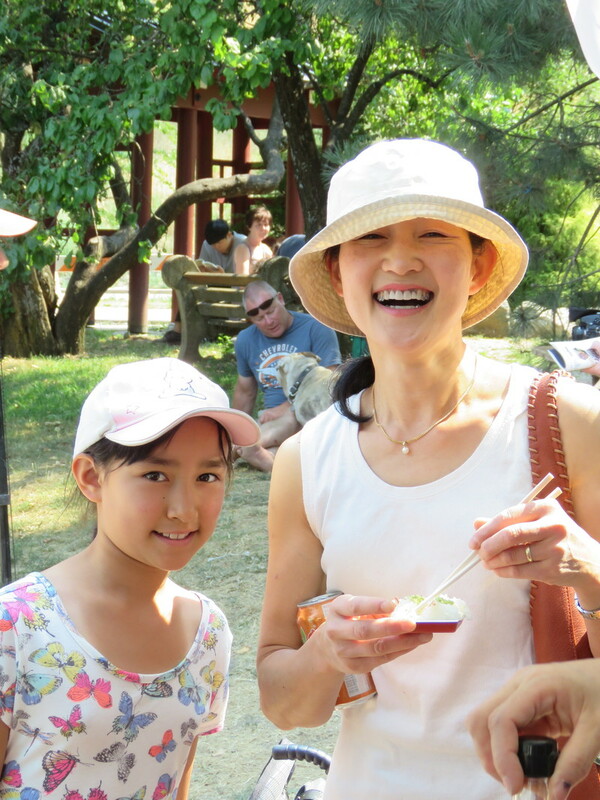 Three other quilters joined the Obon picnic later in the day. More on the quilt here and the picnic here.